Best Eco-friendly Gear and Gadgets for Outdoor Enthusiasts! The weather is warming up and people are revelling in the warmer weather by spending as much time as possible in the great outdoors. 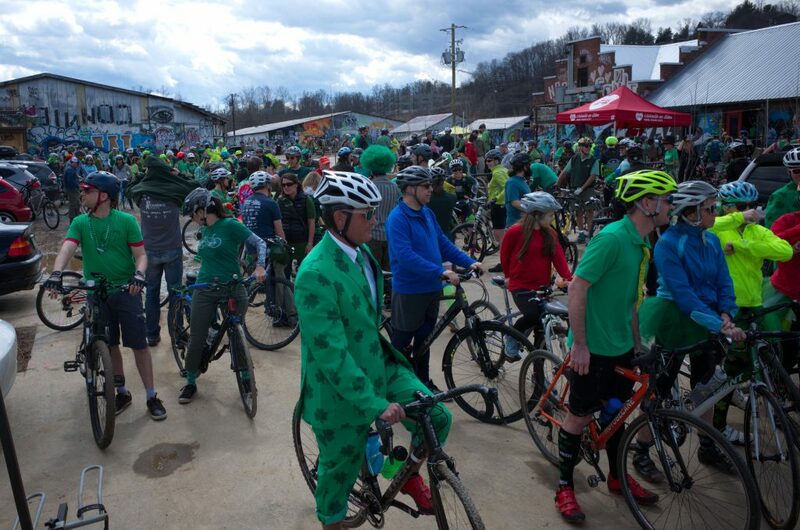 Whether taking off into the woods and mountains for some backwoods camping or setting up "camp" in a friend's backyard, many folks will be eating, sleeping, cooking, and playing outside for the next few months, and a fair bit of equipment, gear, and gadgets are needed for all of these activities. We've rounded up some of the best eco-friendly camping gear available to ensure the smallest possible environmental impact during our outdoor adventures. The Concept Tent (also known as the kaleidoscope or solar powered tents) was thought up because of festivals and the fact that partygoers always need to keep in touch with mates while they’re camping and roaming around the festival site. The resulting concept makes for a seriously cool tent with some awesome camping gadgets, which could help inspire a carefree nomadic lifestyle in full-on glam camping style! The idea is that specially coated solar threads are woven into conventional fabric so designers wouldn’t have to use fixed solar panels to harness the energy. It would also have three directional glides that can be moved throughout the day to maximise solar efficiency and energy collection. A pretty cool tent huh? But the most amazing bit about this concept solar powered tent is its central wireless control hub which lets you see the amount of energy being generated and used, as well as sending out a wireless internet signal for anyone who needs to surf the internet. 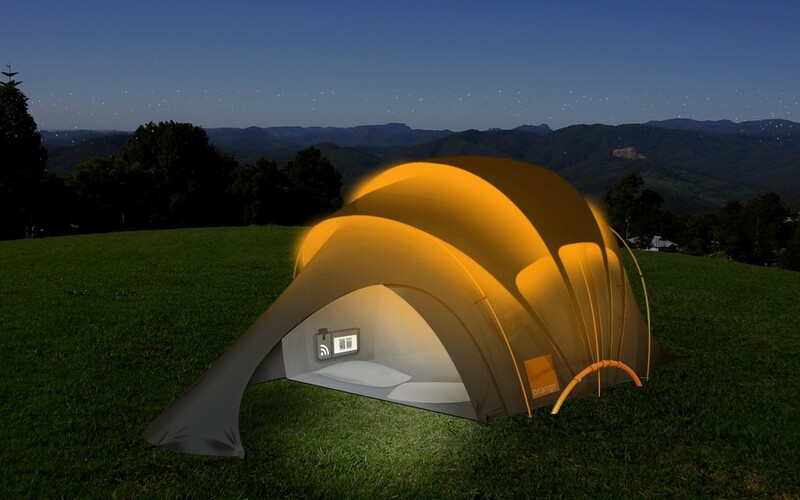 This is displayed on a gadget geeks dream… a touchscreen LCD display screen, an awesome camping gadget! The control hub also has a wireless charging pouch which powers mobile phones and other portable devices without the need for messy wires and multiple chargers. The ‘magnetic induction’ technology passes an electric current through a coil embedded in the charging pouch and this in turn generates a magnetic field which creates a charge and powers the battery. 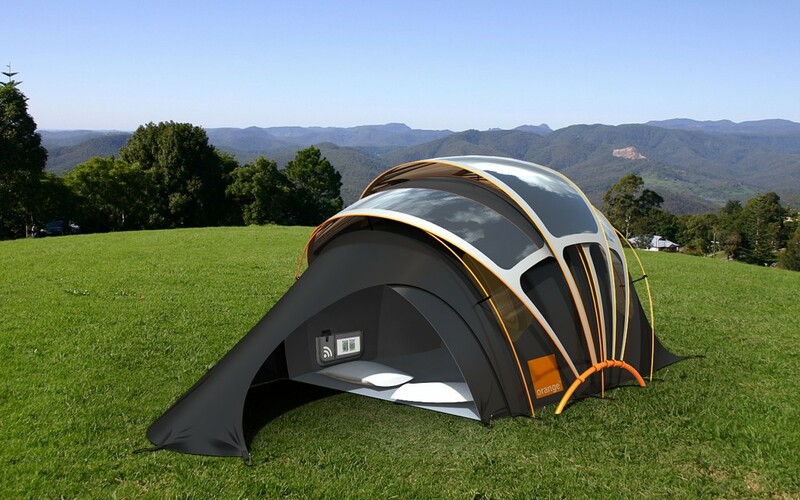 For non-tecky people like us out there… this means it’s one extremely clever solar tent! Finally, to avoid festival-goers ever losing their tent (uh huh…we know all about that! ), the Concept Tent is designed to have “glo-cation” technology. This works by enabling the lost camper to find their cool tent by sending out a text message that triggers a distinctive glow in the tent helping them see it from a distance. But before you throw out your old tents, solar panels and thermal underwear you’d better note that this Concept Tent is just that… a concept. It was designed to celebrate Orange’s 11th year at Glastonbury Festival and – lets face it – a bit of a PR stunt. However we’d like to be optimistic and think it’s a glimpse of earth friendly cool camping for 2012 and beyond. Unless you’re “glamping” in some 5-star yurt, chances are you won’t be nestling down between silk sheets. When you’re roughing it, a good sleeping bag can make all the difference between a great night’s rest, and a miserable night of chills and sleep deprivation. 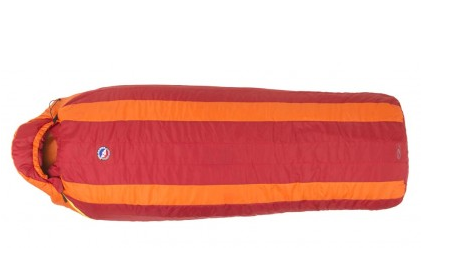 Big Agnes’ Encampment 15 sleeping bag is made of nylon and has a synthetic fill made of 97% recycled material. 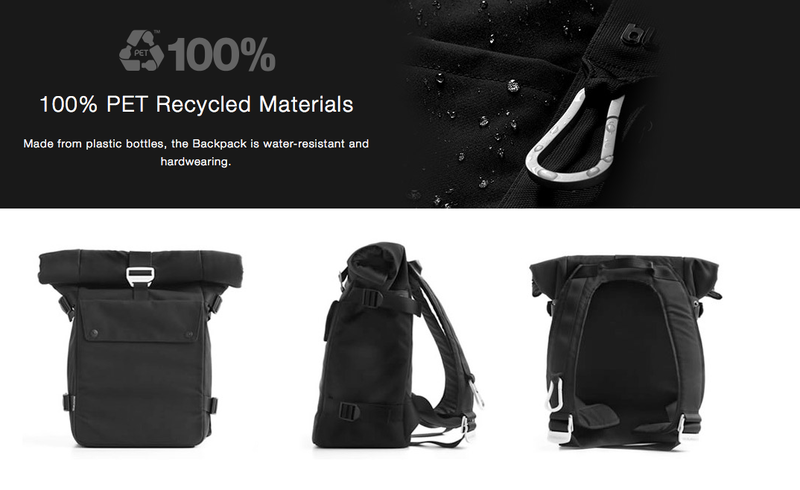 It’s one of the most vegan-friendly bags out there, and the fact that it’s created with recycled nylon is a big plus. Insotect Tubic™ is a revolutionary tubular insulation system engineered to provide the maximum cubic loft for supreme thermal efficiency and user comfort. Through its innovative design and construction, Insotect Tubic delivers performance benefits that make gear significantly loftier, warmer & more durable. Superior thermal efficiency - the significant air space created by the DualVault™ and Vertical Thermal Channel™ delivers the best thermal efficiency. As sleeping bags used by the military, you can be sure that the CLIMASHIELD products will be both functional and durable for outdoor camping. These camping sleeping bags are made with between 40% and 100% recycled polyester filaments and boast of excellent loft. Get an even better night’s sleep with the Pacific Outdoor Eco Thermo 6 Sleeping Pad. This air-core designed, lightweight sleeping pad is easy to pack and rolls up into a small stuff pack. These pads have a zero carbon footprint and are made from bamboo fiber fill and undyed bamboo fabrics. 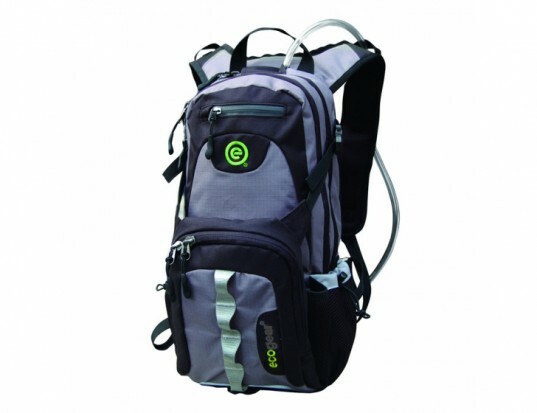 It’s even received the Backpacker Magazine’s Editor’s Choice Green award. Naturally, you’ll need a great pack to haul all of your stuff while you’re trekking through the wild, right? The Water Dog Hydration Pack is made of PVC-free and toxin-free recycled materials, and comes with a BPA-free water bladder that you can fill for all day trail sipping. Made from recycled plastic soda bottles, the BlueLounge Backpack is a great light day pack that can pull double-duty as a daily accessory. Fill it with a few essentials for a day’s hiking, and then use it daily when you’re back in the city. The type of cookware and dishes you’ll be using will depend a lot on whether you’re backpacking or setting up in the kind of campground that has hot showers and electrical outlets. All-in-one sets are fabulous, as you can use them both as pots/pans and bowls/plates. A titanium cook set is pretty much ideal for both backpacking and car camping, and you can eat right out of the pots so cleanup is a breeze. For lightweight backpacking items, you can go for something like Fozzils foldable plates and bowls, which weigh next to nothing and are super easy to clean too. MEC’s GSI Infinity Divided Plates are great too, as there are handy little compartments for different dishes… just in case you really don’t like it when your baked beans touch your veggie burger. Instead of bowls, you can aim for a heavy-duty camping mug that can hold oatmeal or stew as well as coffee or cocoa. REI’s big ol’ recycled camp mug comes in grey or olive, is made of recycled polypropylene, and can hold just about anything you pour into it. REI has a great set that’s made of an aircraft grade aluminum alloy, and it’s comprised of a fork, knife, and spoon. It’s durable, easy to clean, and can last a lifetime. Bamboo utensils are super lightweight and ideal for backpacking, and there’s always the ubiquitous spork if you’re a one utensil kind of person. 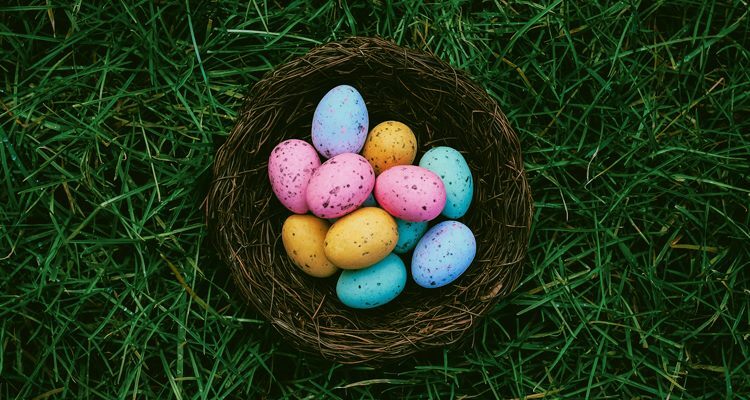 Remember to wash all of these items after using them, and if you’re camping deep in the woods, store them—and your food—well away from your tent in case animals are attracted by the scent of the scrumptious supper you cooked. Hanging them from a tree is your best bet, and you can also store them in your car if you drove in. If you’re going backcountry camping and/or hiking, the best foods to take with you are compact in size and weight, but high in protein and energy. Many (if not most) CLIF and LUNA bars are vegan, and many are gluten-free as well. Other bars such as YAWP and Earnest Eats are fab too. If you don’t have a sweet tooth, you can go for spicy and savory items like vegan jerky, vegetarian pepperoni sticks or dried spiced chickpeas and nuts. You can also prep for your trip with an all-in-one snack box like something from Vegan Cuts, where you’re sure to have a selection of different snackables to keep the entire camping party munching happily. If you prefer to make your own camping snacks, there are some amazing energy bar recipes out there, and you can’t go wrong with a good DIY trail mix with a variety of nuts, seeds, and dried fruit. If you’re “car camping”, or visiting friends at a cottage, you can probably just take a cooler full of your favourite snacks along with you, but there’s something special about cooking meals on an open fire. Outdoor Herbivore has a great line of dry vegetarian and vegan camping food so you just need to add them to boiling water for a delicious, hearty meal at the end of a long day. They also have sprout sacks so you can sprout your own seeds and beans while you trek, which will let you have some crunchy freshness to nosh on. A quick look through Pinterest can give you countless other ideas as well. As a final note about food, camping just wouldn’t be the same without roasted marshmallows, and you can get some great vegan ones via Sweet & Sara. It’s difficult to cook without a stove, unless you MacGuyver one out of a tree stump, or just cook over a bonfire. The Sun Oven has received top marks from countless people, and it’s a lightweight option that would allow you some pretty decent meals out in the woods. 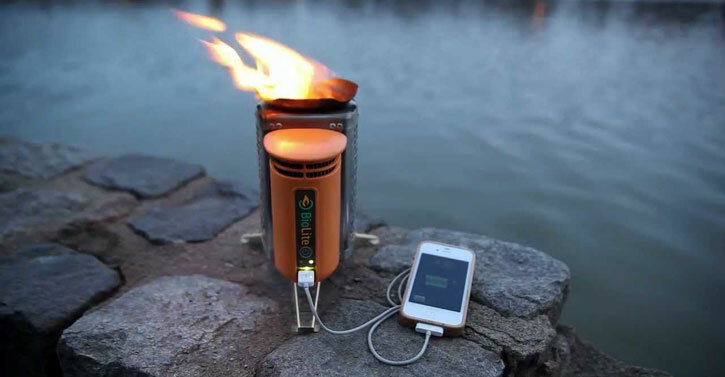 BioLite is another great stove that serves a dual purpose: it can charge your electronic devices while warming your food. There’s no additional fuel needed for this stove either; just gather some twigs and light them on fire.